I first went to Paris in 2007 on my honeymoon. I did all the touristy things that one must do when you visit this beautiful city - boat ride down the Seine, a visit to the Louvre, eating of copious amounts of crepes and macarons and steak frites. We made a vow to try and come back every five years if we could and show our daughter our favourite city. We fell for this city, hard. So I've been saving my dollars and air miles ever since, hoping to get back there. We had one week in Paris and I didn't want to waste a moment of it. I'm definitely a planner when it comes to vacations. My view is that you spend so much money on vacation that you need a bit of scheduling and efficiency to get full value out of your limited time. Travelling with children adds another layer of complexity but it doesn't mean your trip has to be any less enjoyable. Planning for down time or naps, incorporating kid-friendly activities, and a less hectic schedule ensures everyone has a good time. 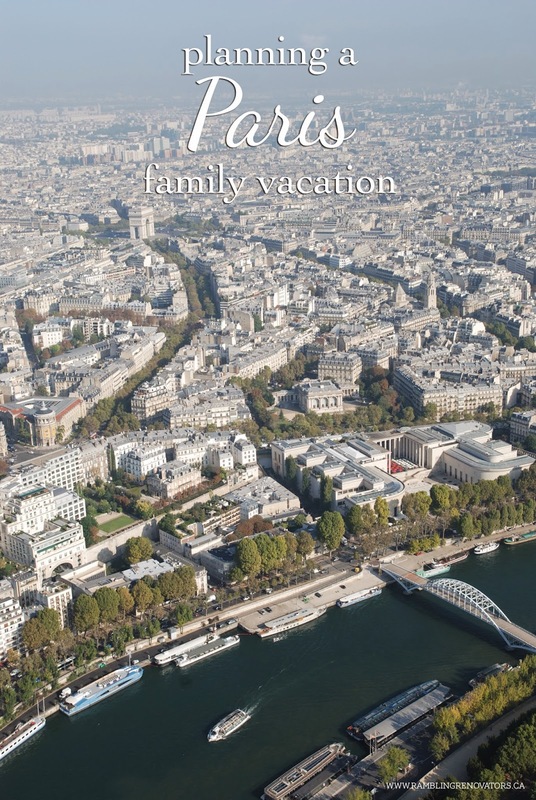 If you're headed to Paris with your kids in tow, I wanted to share our Top 8 decisions/experiences which made our Paris family vacation enjoyable for all ages. 1. Staying with One Fine Stay. 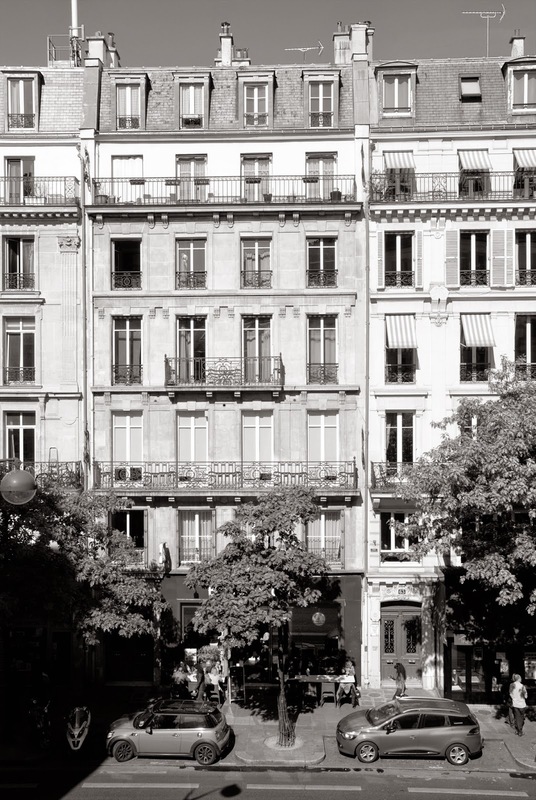 Paris hotels are notoriously small. I knew that we would need more room for Chloe to move about on this trip so looked into rental apartments. I heard about One Fine Stay through Stefanie, who had used them for her London vacation. 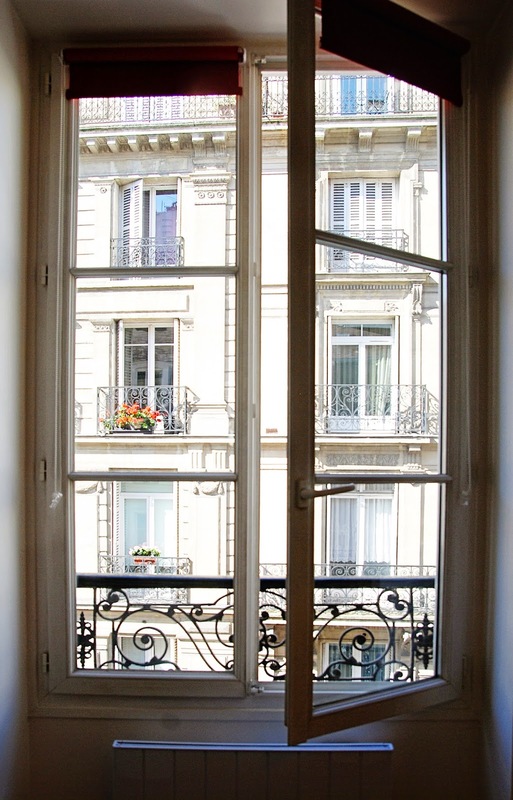 Just looking through their Paris apartments had me convinced. We stayed at Rue Volta, which was at the north end of the funky Marais district. Unlike other rental networks where you deal directly with the homeowner, One Fine Stay bills itself as the "un-hotel" and provides a certain level of quality and service guaranteed. I'm well past my back-packing days and appreciate some comfort when I travel so this was well suited to our travel style. They have a curated and exceptional list of rentals and provide plush linens and luxe toiletries in each of the homes. A staff person was on hand to welcome us to the apartment. He recommended local restaurants and places to get groceries, and provided us an iPhone with an unlimited data plan for the week. Seriously! That iPhone was a godsend - we used Google Maps to find directions to the nearest Metro, checked out restaurant reviews, and connected with the virtual concierge whenever we had a question about the apartment. My favourite perk though was the free tasting night One Fine Stay organized at Comtesse du Barry for people staying in their apartments. We enjoyed learning about truffle oil and quinoa vodka and caviar, while sampling the wares, sipping champagne, and chatting with other guests. I'm sure Chloe gobbled up $100 worth of foie gras alone - the girl has expensive tastes ;) I never would have ventured into that store on my own so I was impressed to have such a unique experience and a true taste of Paris provided for me. 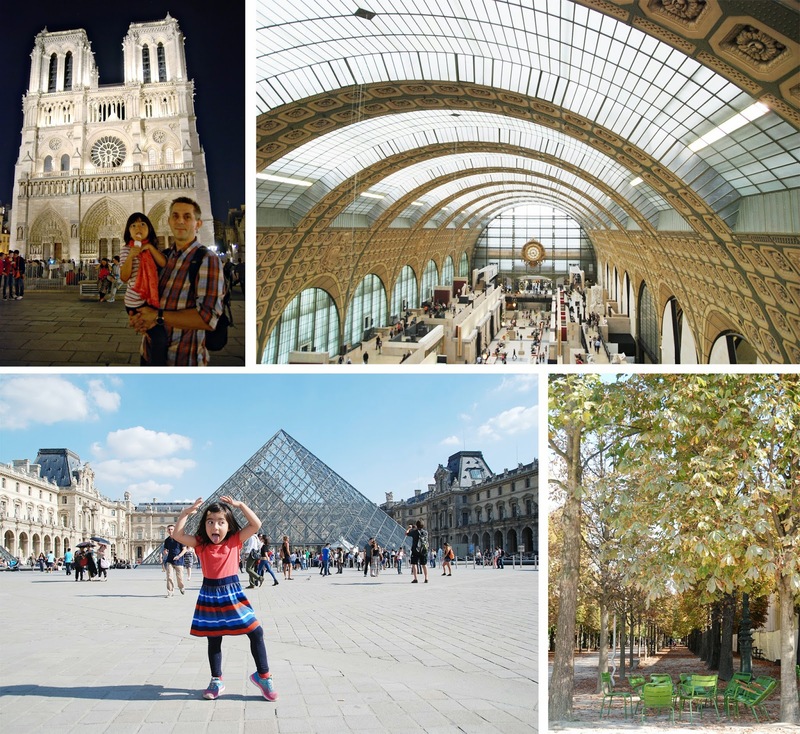 Paris is home to some of the most beautiful museums and historical sites in the world. 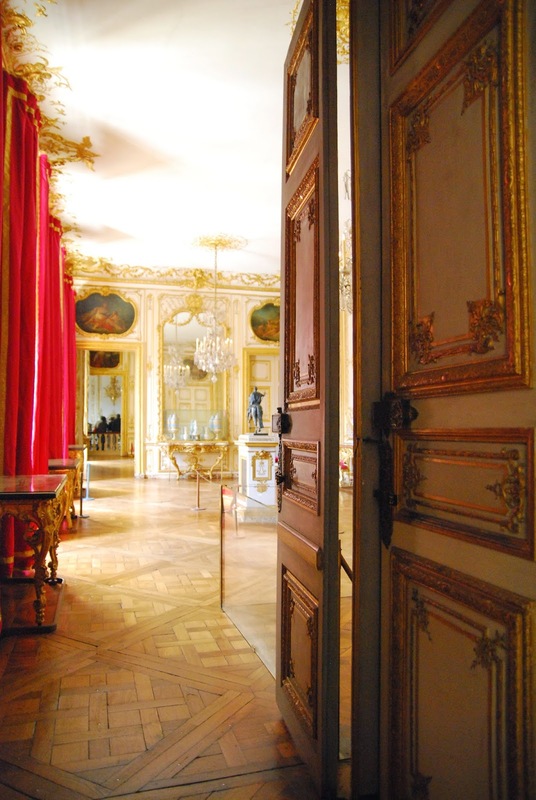 If you're looking to visit three or more of them, it might make sense to invest in the Paris Museum Pass which saves you on entrance fees and allows you to bypass many of the waiting lines. As we had Chloe with us and she has low tolerance for hours spent at a museum, we knew that we had to be selective about which ones to visit. Musee d'Orsay is relatively small and we visited it late one afternoon. We saw the Louvre and Notre Dame on our last trip so we stopped by just to show Chloe the exterior. But the museum which took our breath away was Musee de l'Orangerie. After a stroll through Jardin des Tuileries, enjoying our ice creams, we arrived at this small but stunning museum. I used to have a "Monet" bathroom in my home so it was a treat to see the paintings which inspired those murals. The elliptical shaped rooms with skylights overhead provide for one of the most intimate and memorable ways to experience art. 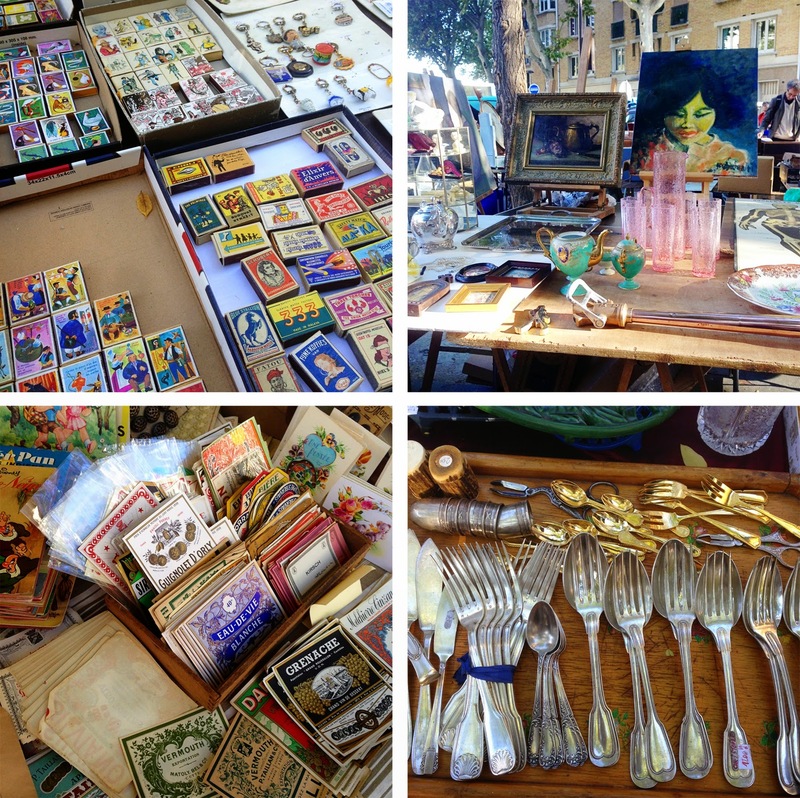 The flea markets are something I missed on my first trip to Paris so I was determined to visit them this time. The Marché Aux Puces de Saint Ouen is the largest and most famous but some of the travel reviews I read mentioned it was overwhelming and not in the best area. Again, I knew Chloe and Sean wouldn't tolerate hours at the market (I, on the other head, could browse for days! 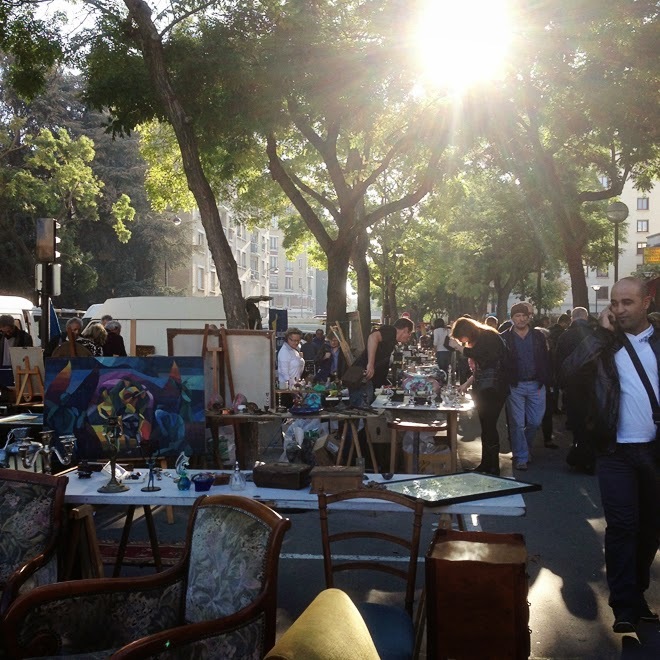 ), so we opted for the smaller Marché Aux Puces de Vanves. About 5 blocks long, the market was a great outing on Sunday morning, pain au chocolat and chocolat chaud, in hand. The prices weren't too outrageous, and the market wasn't very crowded. We finished in about two hours. After the market, we enjoyed one of our best meals ever at Au Timbre Poste. Chloe devoured the tuna salad and The Timbre Poste salad was the most beautiful and delicious I've ever had. I'll be writing more about the Château de Versailles (it deserves it's own post!) but if you have a young child, the place you don't want to miss is the Hameau de la Reine. This little village, created as a private escape for Marie Antoinette and her friends, is like walking into a story book. I had read a tip that you should bring bread to feed the fish and ducks in the pond so did just that and Chloe had great fun - the fish were literally jumping out of the water to get a crumb! 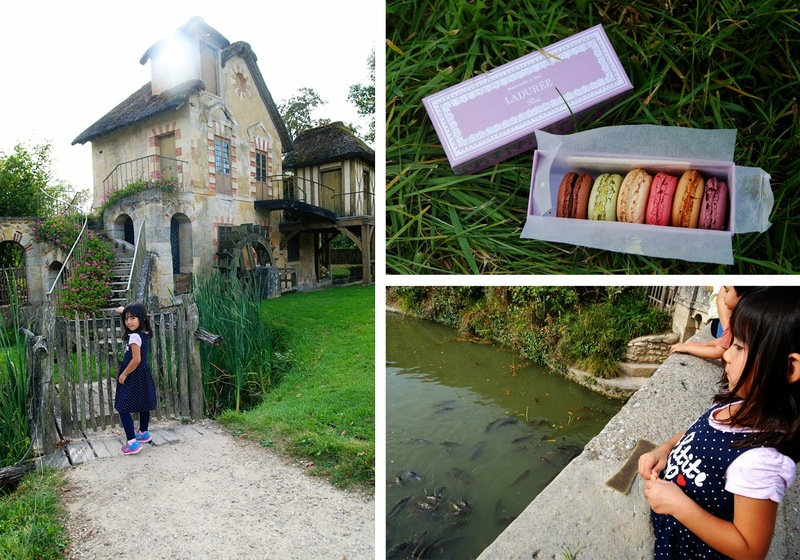 I had made a stop at Laduree at the bottom of Versailles before we ventured to the Hameau so we enjoyed a picnic, eating our macarons and enjoying the tranquility of the village. I love unexpected moments like that. 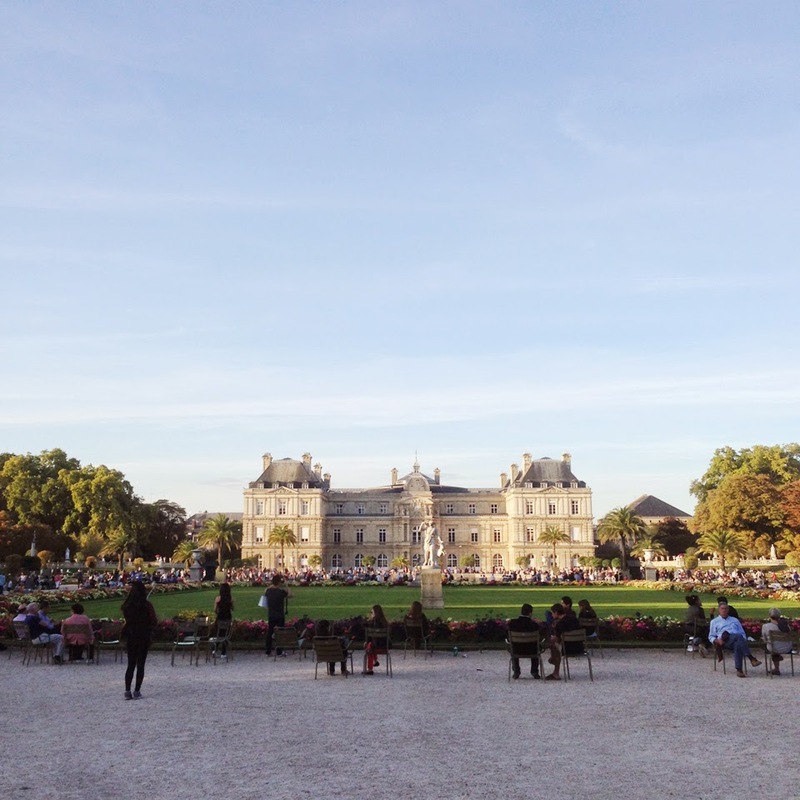 When you need a break from running around Paris, there is no more relaxing place to stop than Jardin du Luxembourg. We spent a pleasant afternoon chasing boats around the pond, eating crepes in the park, and watching the marionette show. But the best money spent was paying for Chloe to enjoy the playground for a few hours. Equipment that might be deemed too dangerous by North American standards was enjoyed freely by the children. Chloe could not get enough of the Tarzan swing, basically a rope she held onto dear life for as it swung around a roller coaster track. It made me think that in Canada we rely too heavily on warnings and signage and the ability to litigate to protect our children, rather than teaching them how to measure risk and take responsibility for their actions. Heavy thoughts at the playground! 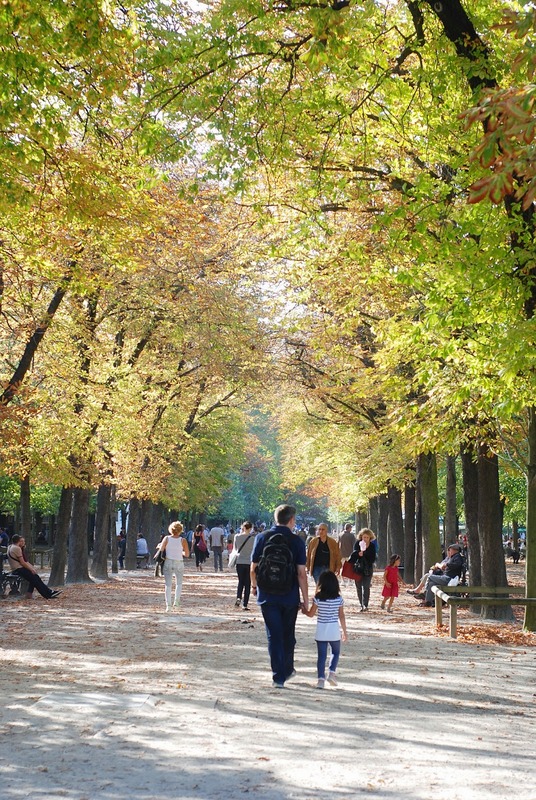 If you're shopping in Paris, no doubt you will be headed to the area of the Grands Boulevards. Paris' beautiful department stores Galeries Lafayette and Printemps can be found here along with Zara, Monoprix, and more. If you need a coffee break or a place to rest all those heavy bags, venture up to the 9th floor of Printemps on Boulevard Haussmann. While we enjoyed the gorgeous view of the city, Chloe took a quick catnap on the faux grass lawn. I try to remember that Chloe works twice as hard as we do - she takes twice as many steps and distances are so much greater for her - so finding a place to rest around that 2pm-3pm crash time is always good. Chloe isn't a picky eater and will try most things at least once. I knew there were certain Parisian treats (many recommended by you readers!) that I wanted all of us to try. 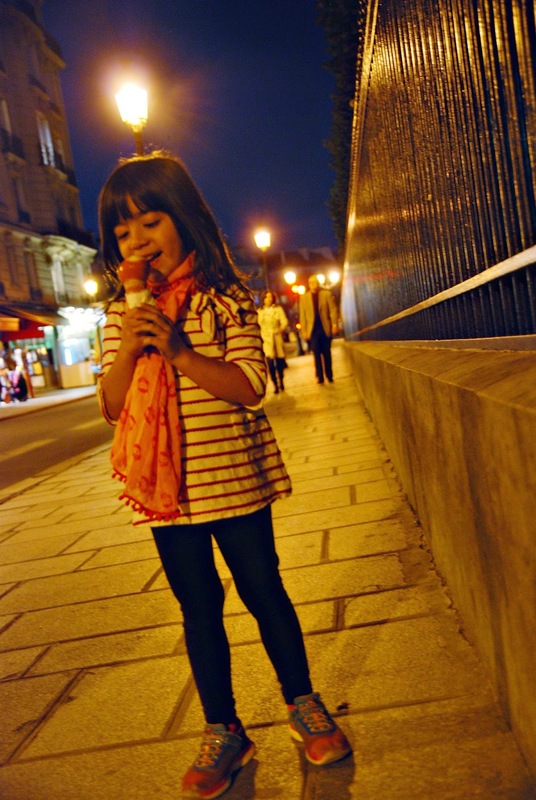 Ice cream from Berthillion on Île Saint Louis, macarons at Laduree or Pierre Herme, hot chocolate at Angelina and fresh nutella crepes from the sidewalk cafes were on our list of must tries. And I'll tell you that they all lived up to the hype! I'll be dreaming about the roasted pineapple & fresh basil sorbet from Berthillion for a very long time. Late night ice cream treats. When Chloe was born, we bought her the book This Is Paris by Miroslav Sasek. Needless to say, we've been talking and dreaming about a Paris trip with her for a very long time. 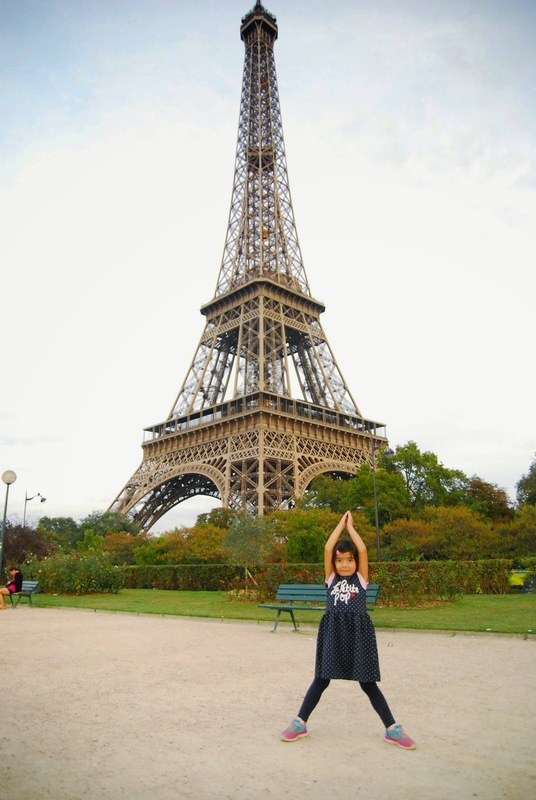 Over the years, Chloe has come to associate the Eiffel Tower with Paris and the one and only thing she wanted to do on this trip was climb the Eiffel Tower, which we did on the last day of our trip. I think it's important to find everyone's Eiffel Tower when on vacation - what is the one thing you absolutely must do on your vacation? For Sean, it was a visit to Mariage Frères to pick up his favourite tea. For me, it was enjoying lunch at Le Poulbot, just like we had done on our honeymoon (the boeuf bourguignon was just as I remembered it). Your Eiffel Tower could be a boat cruise down the Seine or finding out what's below the glass pyramid at the Louvre or having a picnic of cheese and baguettes at the base of the tower. Whatever it is, if you can fulfill those Must Do's, each person will have a very special vacation memory of their own. Congratulations if you've made it to the end of this very long post and indulging me as I go on and on about Paris. If you have any family vacation tips of your own, or have questions about travelling with children, leave them in the comments. I'm already itching for the next trip!